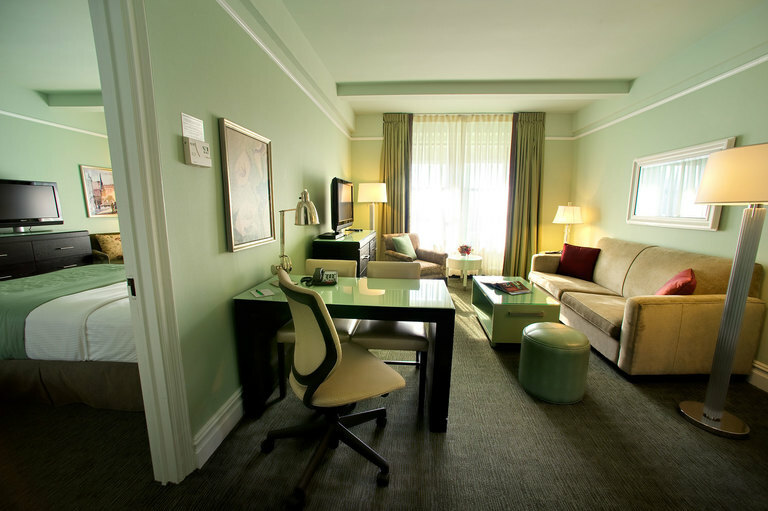 630 square foot suite above 15th floor with kitchenette. 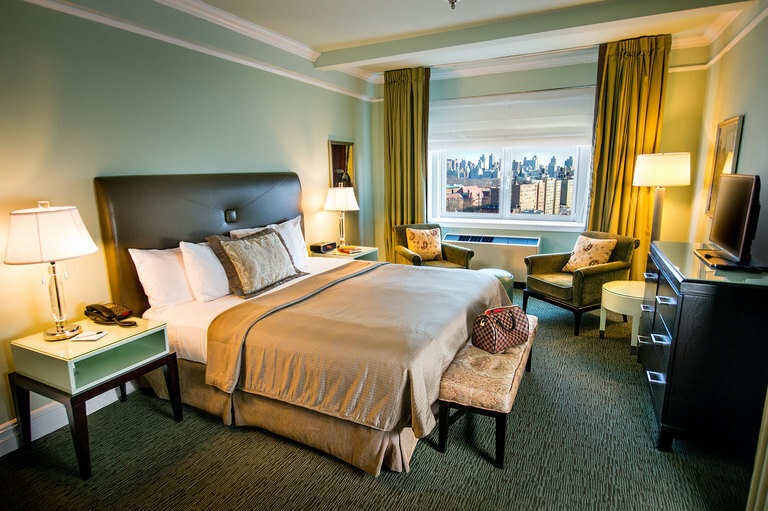 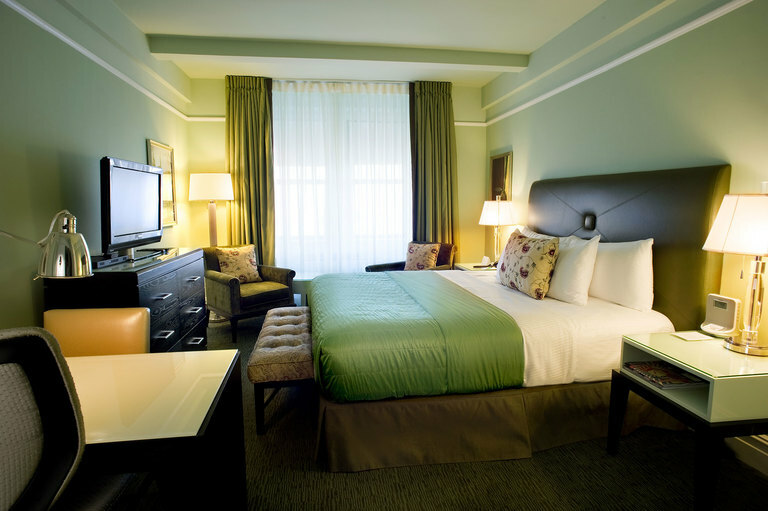 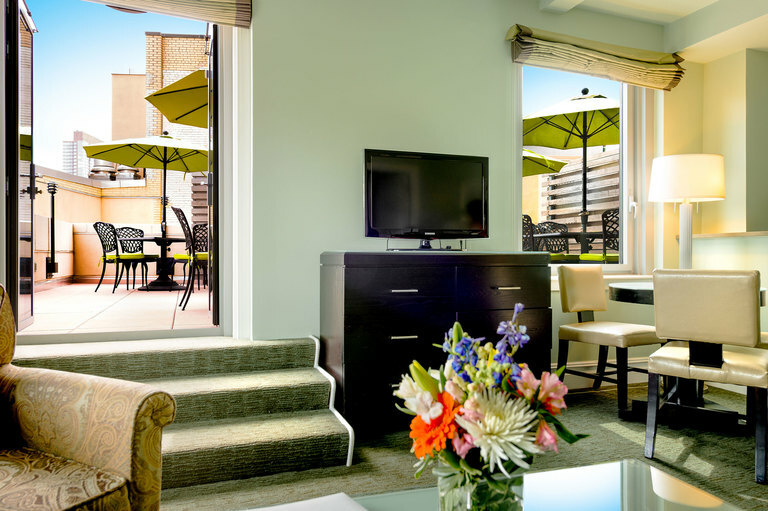 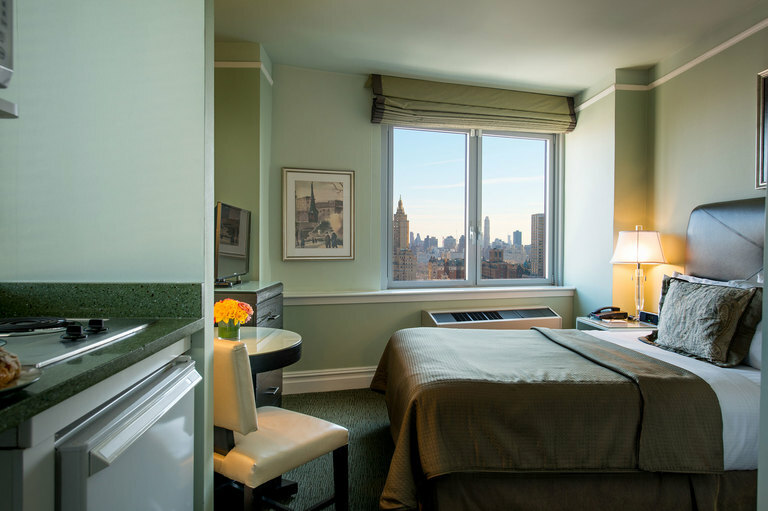 Located on our 15th floor or above and furnished with one king size bed in the bedroom, a living room with a queen size pullout sofa, a fully equipped kitchenette, and a marble bathroom. 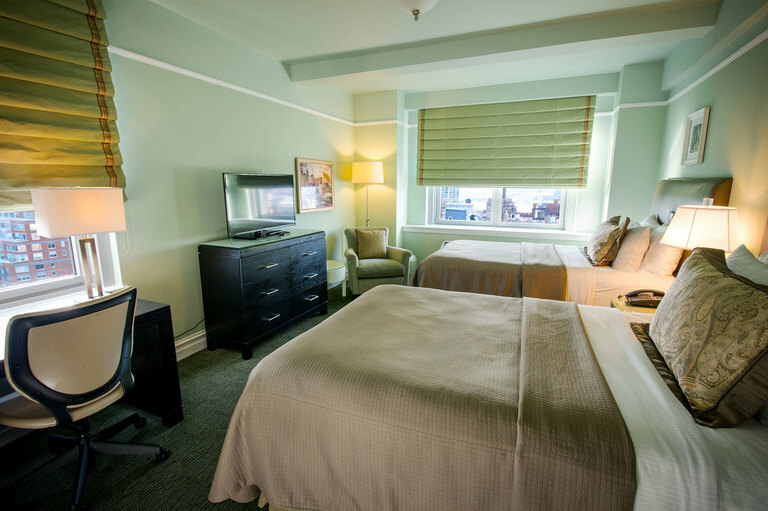 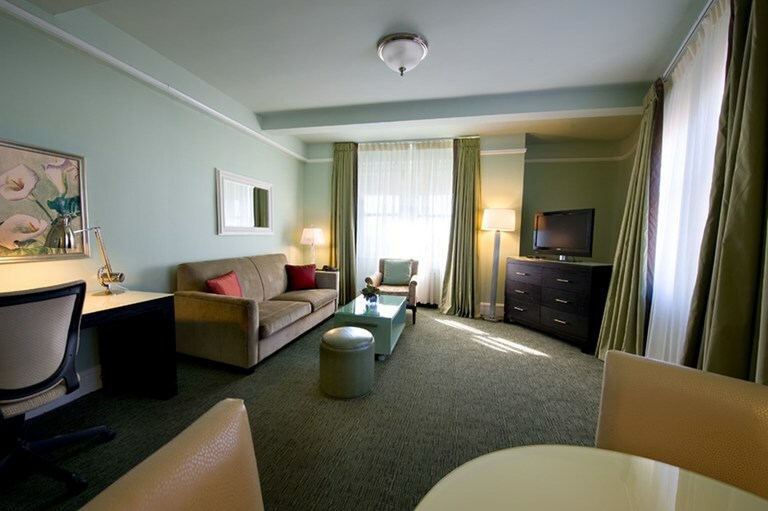 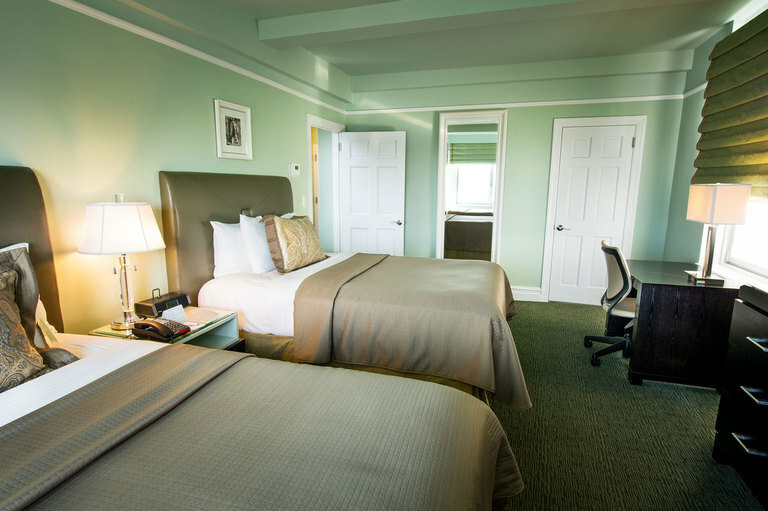 This suite can accommodate three adults or two adults and two children. 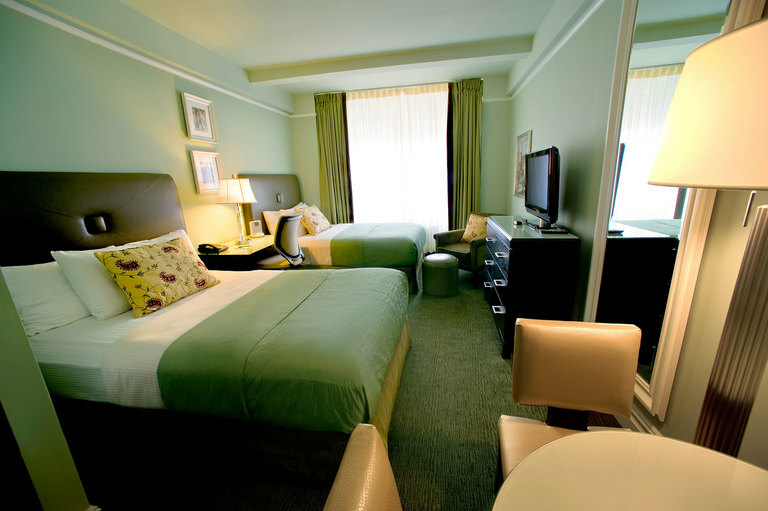 A rollaway bed may be added for an additional cost of 20USD per night. 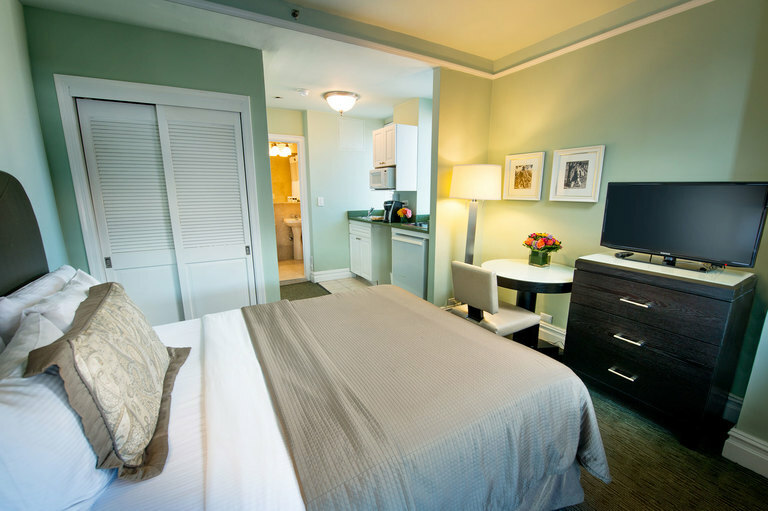 Complimentary Wi-Fi & coffee included.